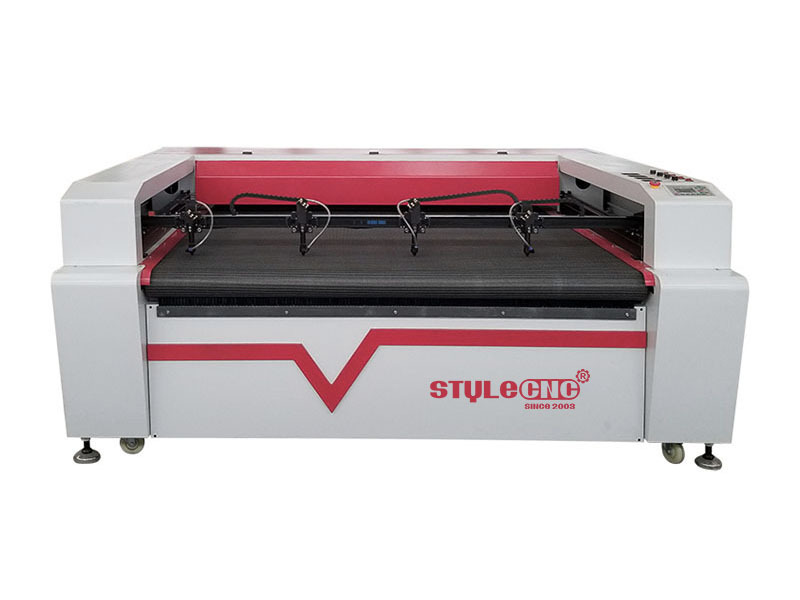 What are the features of laser textile cutting machine? 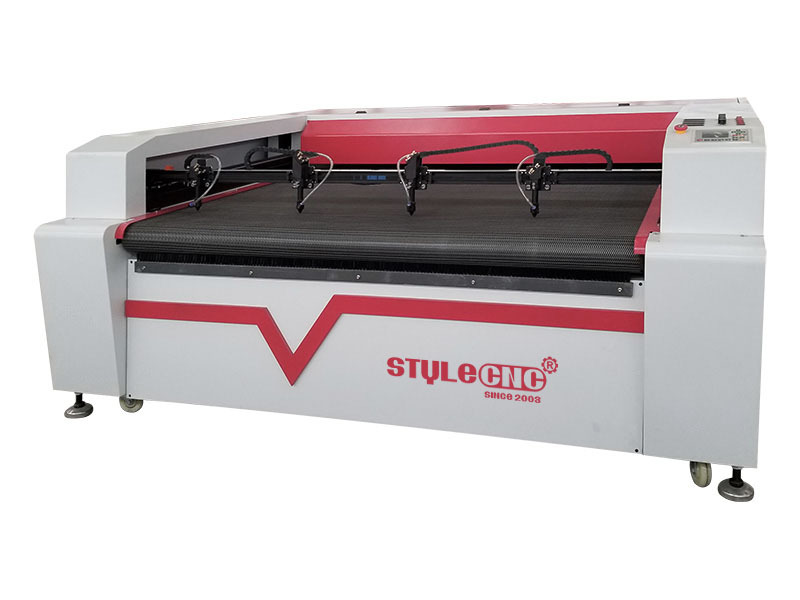 Laser textile cutting machine is also called textile Laser cutting machine, textile Laser cutter, laser textile cutter. 1. 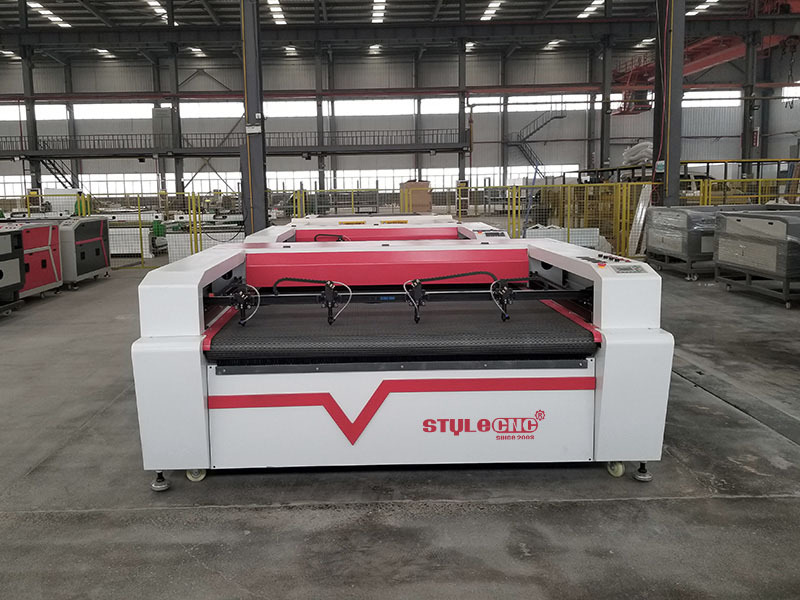 With four laser heads auto movable processing, high efficiency compared with one head. 2. With auto feeding function with roller, so as to save time to change materials. 3. Conveyor moving working table with auto feeding device realizing continuous feeding and cutting. 5. Advanced LCD Screen+ USB port+ Offline Control,with professional motion control chip, which has the function of consecutively high-speed curve cutting and the shortest path selection, which largely improves your working efficiency. 6. Edge smoke outlet can protect the nets- worktable, extend the usage life of the machine. 7. The special software for automatic nesting, enhancing material utilization. 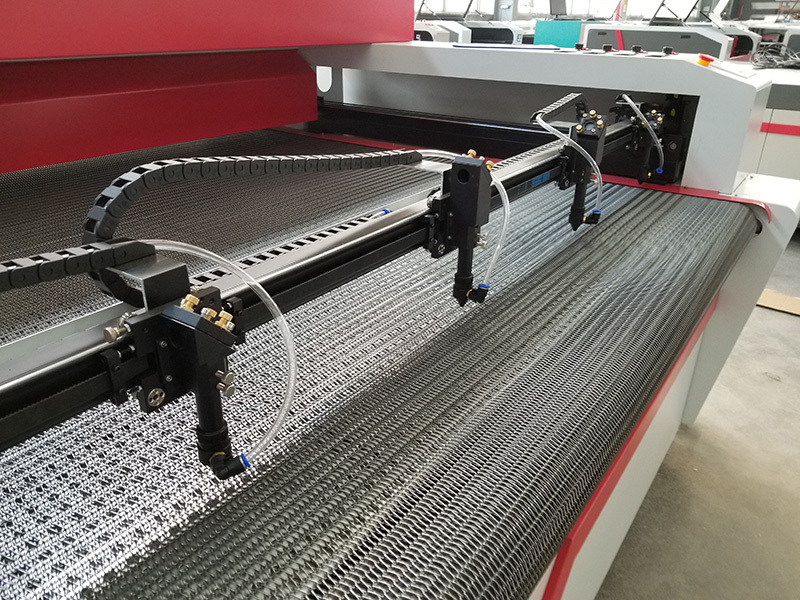 Technical parameters of laser textile cutting machine? 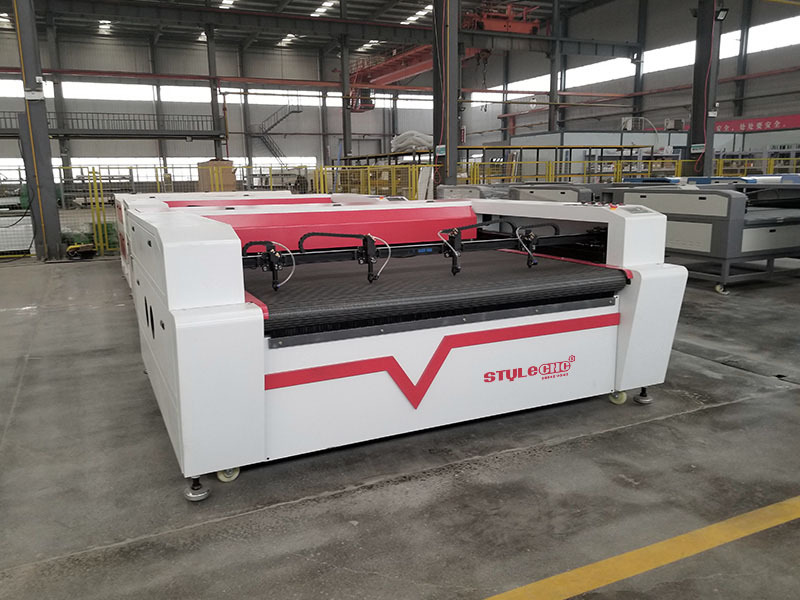 What is a laser textile cutting machine used for? 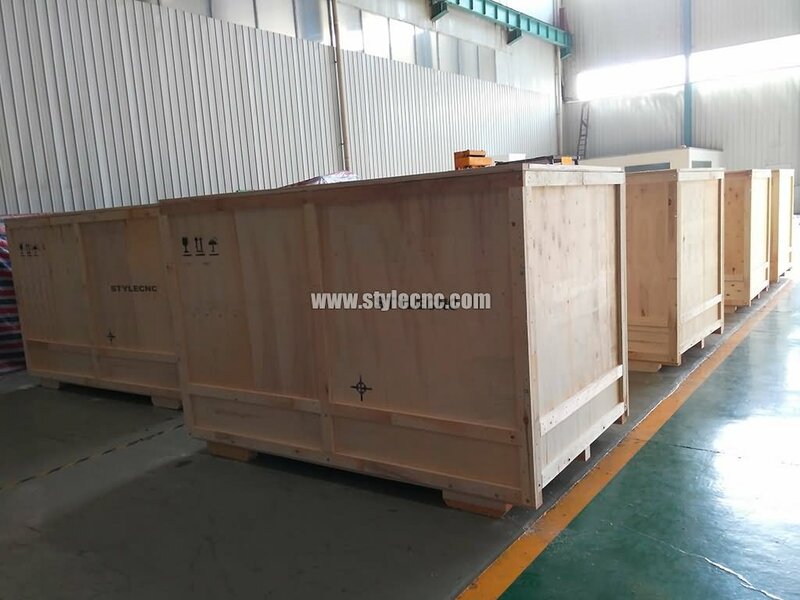 How to order a textile laser cutting machine from STYLECNC? 1. 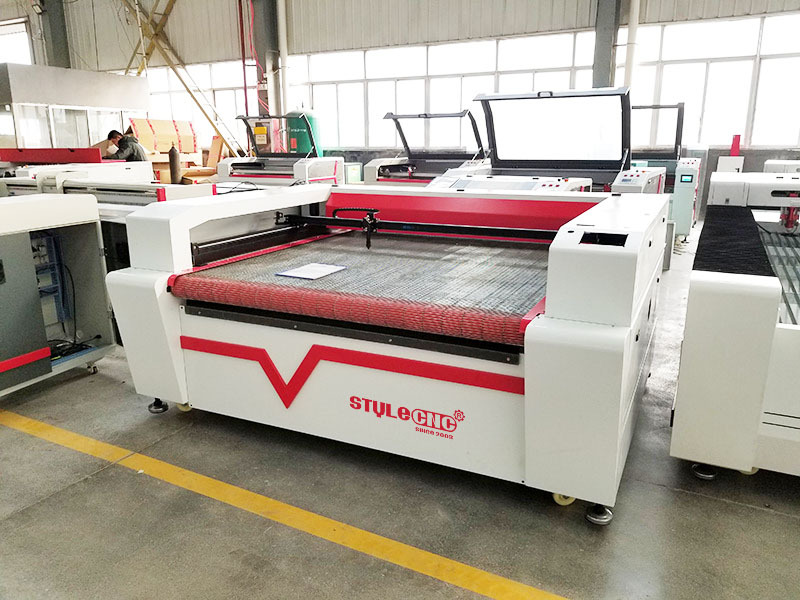 Consult: We will recommend the most suitable laser engraving cutting machines to you after being informed by your requirements, such as the material you want to engrave, the max size of the material( Length x Width x Thickness). 2. 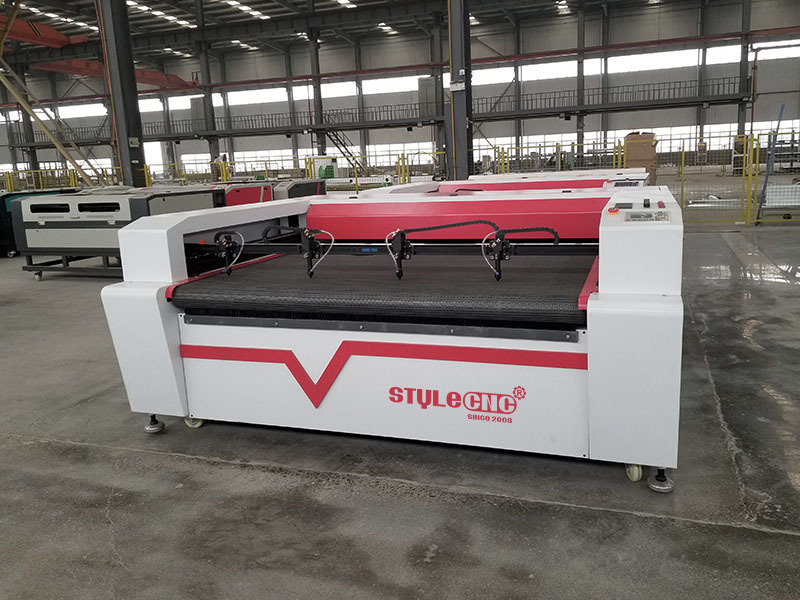 Quotation: We will offer to you with our detail quotation according to our consulted laser engraving cutting machines, with high quality and the most competitive laser engraving cutting machine price. 3. Process Evaluation: Both sides carefully evaluate and discuss all the details(including technical parameters, specifications and business terms) of the order to exclude any misunderstanding. 4. Placing Order: If there is no doubt, we will send you the PI( Proforma Invoice), and then we will sign a contract with you. 5. Production: We will arrange the production as soon as receiving your signed sales contract and deposit . The latest news about production will be updated and informed to the buyer during the production. 6. Quality Control: The whole production procedure will be under regular inspection and strict quality control. 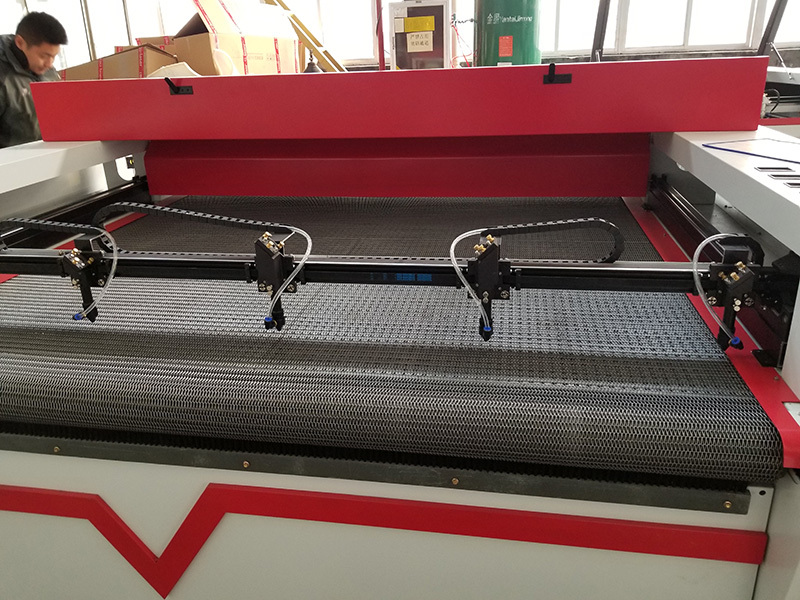 The complete laser engraving cutting machine will be tested to make sure they can work very well before being out of factory. 7. Delivery: We will arrange the delivery as the terms we both agreed with and after the confirmation by the buyer. 8. Custom Clearance: We will supply and deliver all the necessary shipping documents to the buyer and ensure a smooth customs clearance. 9. 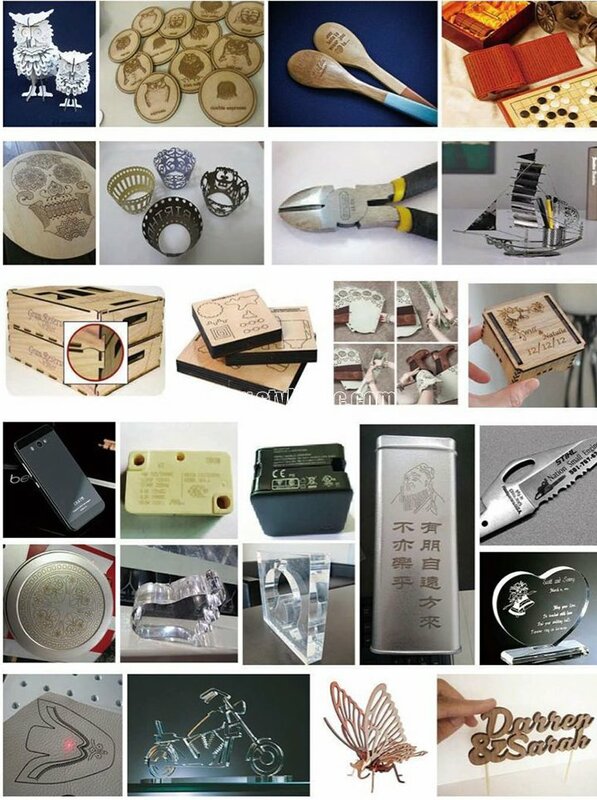 Support and Service: Offer professional technical support and intime laser engraving cutting system service by Phone, Email, Skype, WhatsApp around the clock. 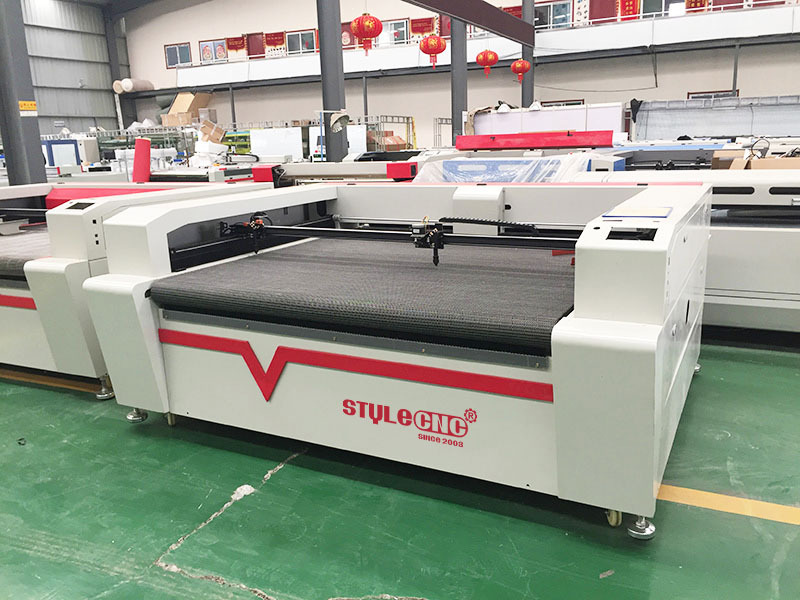 How about the service for textile laser cutting machine from STYLECNC? 2. Two year quality guaranty, the machine with main parts(excluding the consumables) shall be changed free of charge when if any problem during the warranty period(except human damage). 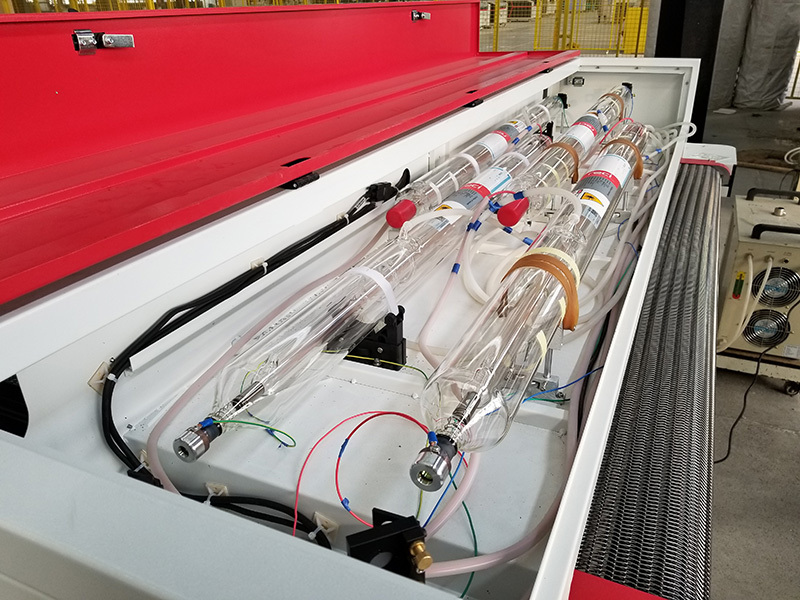 Laser tube 6-10 months warranty, and mirror and lens for 3 months. 3. Free training course at our workshop, of course if necessary, offer door-door, but clients need offer tickets,accommodation and etc. 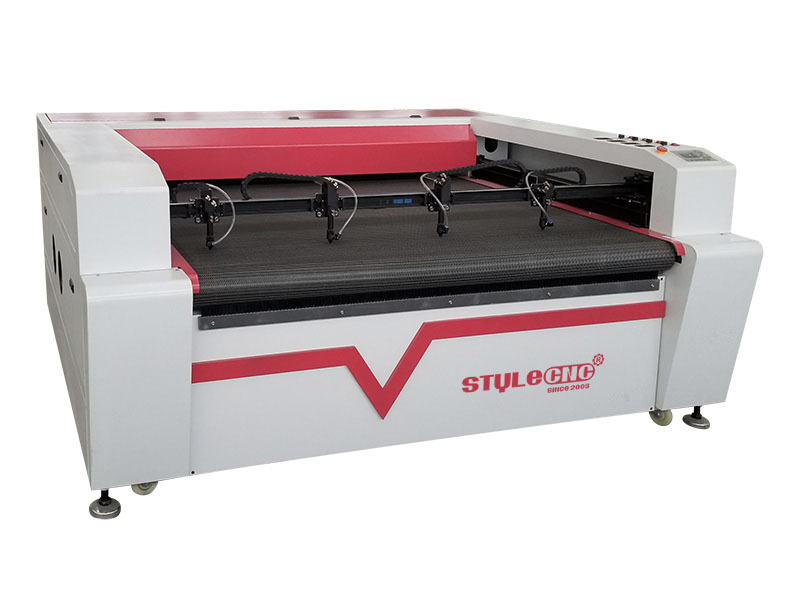 License: The text of "Laser Textile Cutting Machine with Four Heads for sale with low price" by STYLECNC is licensed under a Creative Commons Attribution 4.0 International License.